Enjoy the top 1 famous quotes, sayings and quotations by Gustav Radbruch. 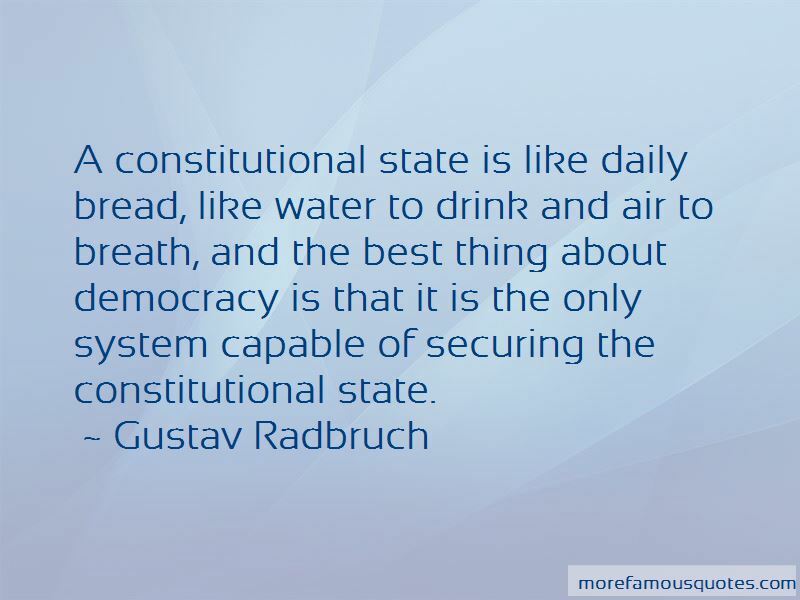 A constitutional state is like daily bread, like water to drink and air to breath, and the best thing about democracy is that it is the only system capable of securing the constitutional state. Want to see more pictures of Gustav Radbruch quotes? Click on image of Gustav Radbruch quotes to view full size.